I was supposed to be doing some biz dev today, but the meeting got cancelled after the other party spent all night playing werewolf (I still don’t see the attraction in that game). 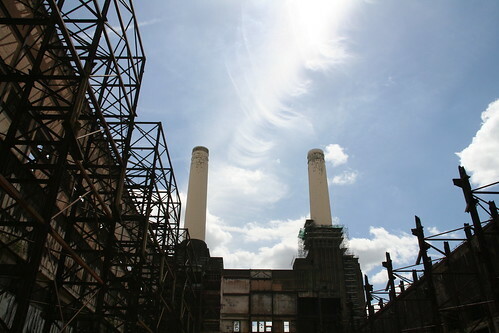 I thought I’d try and do something a little bit different and Annie Mole came through via Twitter, after she’d just written a post about a consultation exercise taking place at Battersea Power Station. They’re looking at doing the place up, after it has in effect been abandoned for 25 years. It’s been tried twice before, so there’s no guarantee, but the idea looks good. It definitely needs something doing, as it’s a gorgeous building, just waiting to be used. The idea is a mixed use place, with parks, new buildings, shops and galleries. They’re looking at building a tower bigger than the chimneys, to act as a cooling tower for the green development. 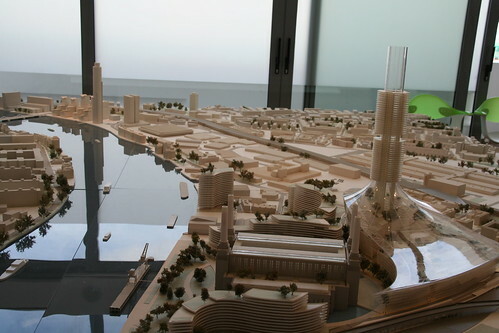 First up, you go round a presentation and model about the new development. It all looks very good and all the posters are positive. Part of my feedback is I think they should also list objections or problems and what they are doing about it, to make the coverage more balanced. I also suggested to the team they should start showing feedback and their responses, so people can see that it’s actually been read and listened to. They seemed to think that was a good idea and gave the indication they’d be doing that – so if there’s a feedback board up later this week, it’s all down to me! After the questionnaire, you get to wander into the site, following a fenced off track, but you ge thte chance to at least look in the building. I’m surprised it’s still standing, as it’s nothing but an empty shell, only walls and broken windows. 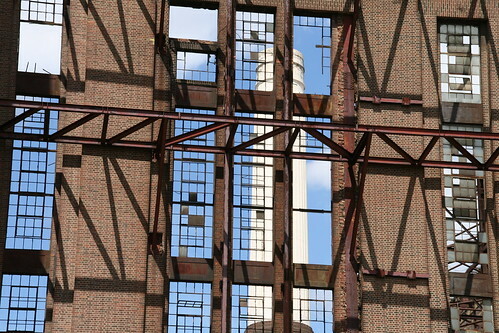 It’s a fascinating view of a building that seems to have so much potential just trying to burst out.